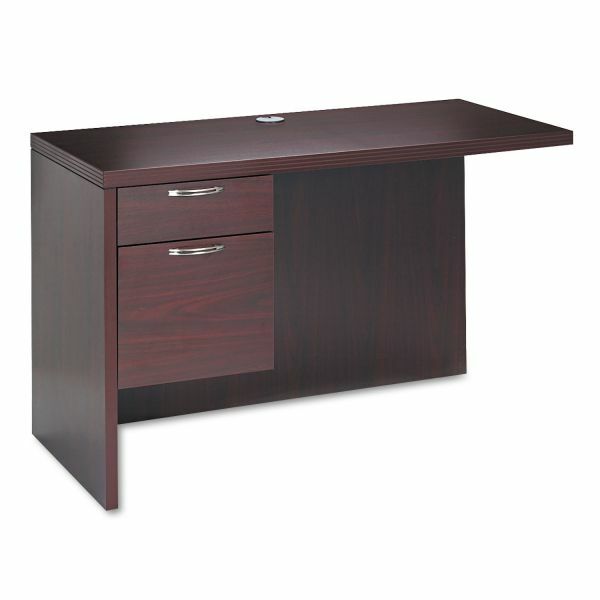 HON Valido Series Left Return, 48w x 24d x 29 1/2h, Mahogany - Valido laminate desks from HON offers signature style and versatile selection. 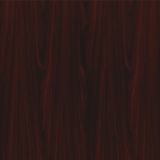 Valido's unique visual design features an extra thick 1-1/2" worksurface and exclusive ribbon-style edge profile. 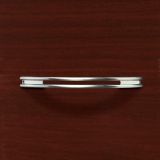 Select between contemporary drawer handle styles, and optional frosted modesty panels and hutch doors. The quality craftsmanship speaks volumes about your organization. 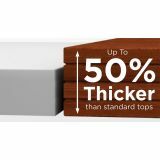 The versatility of the product offering allows for a wide range of layouts, while keeping a consistent aesthetic throughout your space. 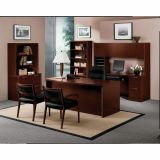 With a variety of desk sizes and a large selection of storage units, Valido adds form and function to any space. Desk and Return sold and shipped separately—ORDER BOTH. 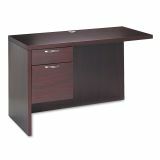 Use with Single Pedestal Desk to form an "L" workstation.